I am really in support of the 'Occupy Wall Street' protests, but the lack of leadership and direction is really beginning to take it's toll on the movement. Recently, the movement moved to Atlanta. During the protest Rep. John Lewis attempted to speak to the people, but because a consenus could not be made he was not permitted to speak. What ensued was some of the weirdest and most cultish stuff I've ever seen before. 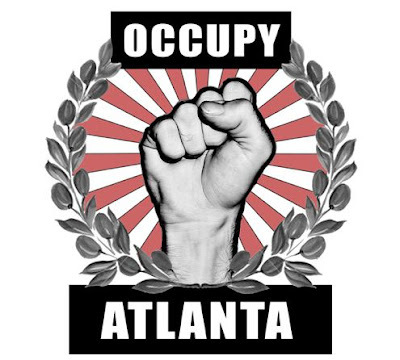 I thought the people who participated in the Tea Party stuff was a little off their rocker, but this incident from 'Occupy Atlanta' is just as crazy and weird. I really don't want to pass judgment but if the 'Occupy Wall Street' movement doesn't get some leadership and clear direction this whole opportunity will be wasted. Who is that skinny white guy with the beard and microphone; and who made him king of the mob?